As with any sport, Baseball and Softball requires practice to hone skills in batting and pitching. Batting cages allow you to perfect your swing, as well as train muscles that increase swing speed, overall power, and hand eye coordination. Enclosed cages give you the opportunity to practice on a constant speed pitch, which not only trains your eyes to see the ball better, but also improves the small muscle movements necessary for a smooth swing. 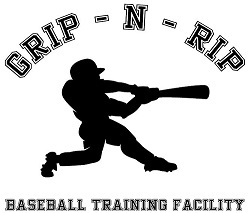 AZ GRIP-N-RIP provides indoor batting cages, pitching mounds and training facilities for both Baseball and Softball. Our facility has pitching machines for both Baseball and Softball, tee and soft toss stations, regulation size clay pitching mounds, fast-pitch softball pitching lanes, hitting and pitching lessons, as well as periodic camps and clinics. 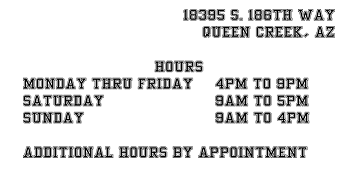 We cater to both individuals and teams to help improve skills on the field. Our goal is to provide a safe and productive environment that enables players to learn and apply the principles of the game.